Further to a discussion that started on another thread a while ago asking about Bo Weavil Jackson (Sam Butler), before writing anything I thought I would re-visit Mr Butler's music, and I am very pleased that I did. I have been aware of Bo Weavil Jackson for many decades, but I have to say that until forum member, Frank, asked me about his playing, I had not really taken it in. I spent a few days listening to his recordings and doing what I call 'decoding' them. He is a fascinating musician, especially considering we are talking 1926. I believe he is an important influence on what was to follow a year or two later, and indirectly, that influence is still alive today. 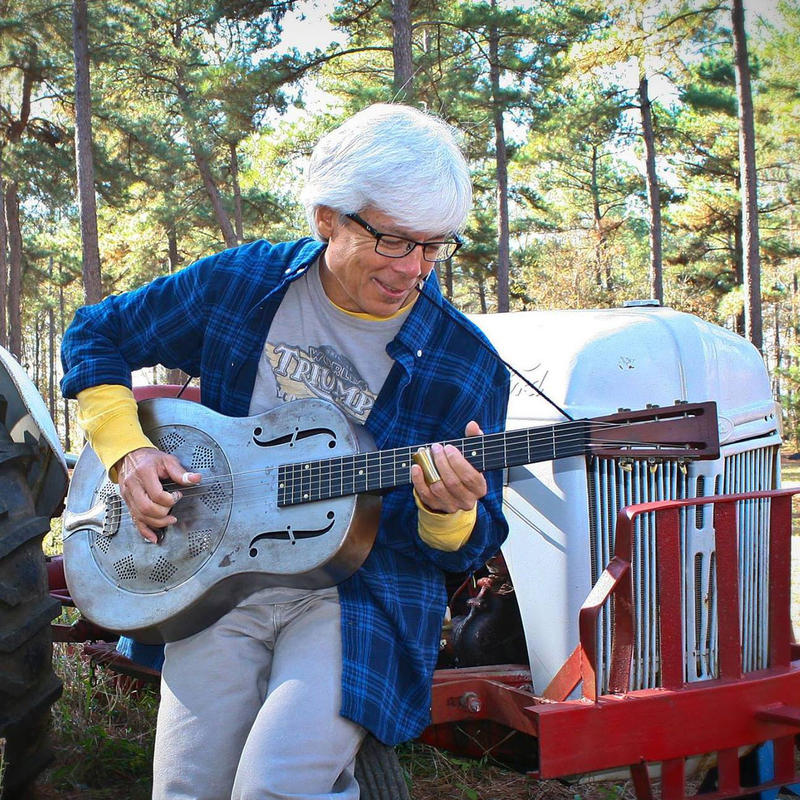 It took me a while to get into some of his music, especially the lap steel spirituals. However, once I did, just like any acquired taste, I now really love his style and am fascinated by his technique. 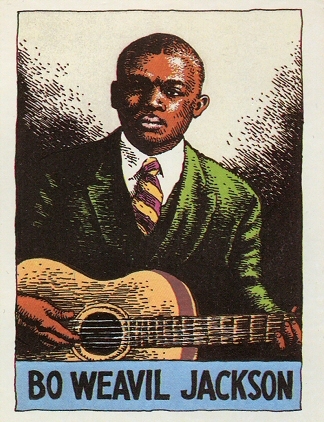 There are the non-slide fingerpicked blues tunes - Pistol Blues, Some Scream High Yellow, Why Do You Moan, Devil & My Brown, and, You Can't Keep No Brown (Vocalion). These appear to played in open Spanish tuning and regular tuning. The most interesting of these to me are Devil & My Brown Blues and You Can't Keep No Brown (Vocalion), as BWJ's playing is excellent on both of these recordings. Devil & My Brown Blues, in Spanish tuning is really wonderful, as is Some Scream High Yellow. The latter contains some classic blues and rock'n'roll lyrics that predate anything I have heard. Then there is category two which consists of only one recording that I know of; I'm On My Way To The Kingdom Land. This is played in regular tuning and is an average 1920s rural recording of a religious / spiritual song. Category three has three recordings of spirituals; When The Saints Go Marching In, Christians Fight On Your Time Ain't Long, and, Heaven Is My View. All three are played Hawaiian-style as lap steel guitar pieces. His lap steel playing is very unusual on these recordings. He plays them in D tuning in the key of G with a very strange approach to playing the melody that creates an unusual sound. Now we come to category four which consists of four recordings; You Can't Keep No Brown, Poor Boy Blues, and two takes of Jefferson County Blues. Although all four songs are based around a similar-ish blues theme, his playing and creativity within this area of his music, is for a recording artist recording in 1926, quite extraordinary. These four songs, two played in open Spanish tuning (You Can't Keep No Brown, Poor Boy Blues) and two in Vastapol tuning (Jefferson County Blues takes 1 & 2), as bottleneck slide pieces with the guitar held in regular position, are played with amazing control, precision, virtuosity and inventiveness, and represent pre-war country blues at its very best. This is very early for someone to be playing bottleneck blues in both Spanish and Vastapol tunings with such skill and virtuosity, and for me it throws a bit of a curveball into the history of blues slide guitar. 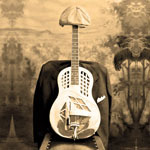 We have no idea what happened in the early part of the 20th century because there are no recordings of blues slide guitar until Sylvester Weaver recorded in 1923, and Bo Weavil Jackson in 1926. Both are very different musicians, Weaver has a sweet tone and Jackson has the speed and dexterity, and until this recent study of his music, I had not considered the importance of Bo Weavil Jackson in the history of blues slide guitar. I have worked out his bottleneck playing style and this is no rural musician singing a few spirituals with an out of tune guitar, this is high class very skilled slide and lap steel playing. 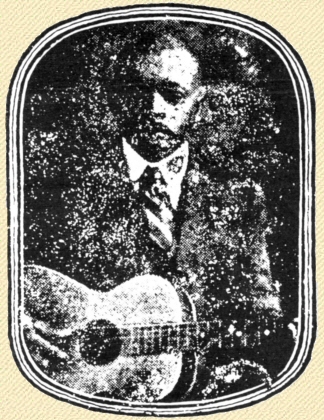 Don't forget that we are talking about 1926, and as a blues slide player, apart from Sylvester Weaver, Bo Weavil Jackson predates everyone. I have never read anything about Bo Weavil Jackson's guitar playing and would be interested to know if anyone else has done some research into this very early and interesting slide player. I have more to add to these ramblings about Bo Weavil Jackson, mostly about the musicians that I believe he may have influenced……..stay tuned…..and thanks for reading. Thanks for your ramblings, I enjoyed being introduced to him. Michael, i have only listend to a couple of tracks by him on compilation albums, the one i listen to most and like is 'you can't keep no brown' You can hear his clean style bottleneck playing behind the recording.I bet there are some other nice gems,will have to listen to more of his songs. Great analysis Michael, thanks - coincidentally,I've had those slide pieces on my mp3 since last year, but not paid as close attention as you! He was indeed an accomplished player, the only thing I'd add is that I find him also very interesting rhythmically - usually about a third-way into a song, when he's gaining some momentum it turns into a kind of proto-funk-rock thing, which, from what you say about how early a recording artist he was, may have been a first? Now & again he does that 'machine-gun' rapid lyric delivery, which reminds me most of Chuck Berry ( on eg Let It Rock ) - ain't nothin new is there?! Hi Guys, what we are talking about here is very intersting, I agree with Michaels analysis of his playing and use of tunings, very sophisticated and very early. 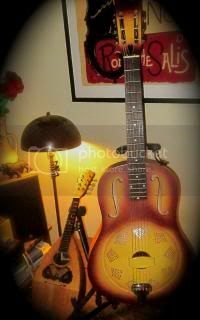 These guys never get the airing they should, I think one of the major reasons being that it is so f... hard to play. I have fumbled with most of his stuff all of my musical life, get close, but there is an eeriness to them that evades me. Same goes for King Solomon Hill, Death of my friend Blind Lemon is so suspended and free form that it is areal challenge. Love me some King Solomon Hill as well. Strange that, for a man of his talent, his recording career began and ended in 1926. I wonder what happened to him? Although the music is totally different, his thunb work on his fingerstyle has a little of the Blind Blake roll about it (or is that my imagination?). Thank you. It was you that started off on this Bo Weavil Jackson stuff and I am very grateful. I have not thought about Blind Blake, but there are some BWJ influences that I am following up. I don't know any more about him than is documented in various blues books and articles. Very interesting reading!! I have Bo's recordings somewhere, must have a listen!! You may remember a while ago I mentioned Tom Feldmann, a new name to both of us at the time. Stefan G must think highly of him because he has released another couple of new slide lessons by him. He seems to have studied the 'old guys' quite a lot, it would be interesting to see how he thought these guys played. He teaches Sylvester Weaver's Guitar Rag from 1923, Bo Weavel Jackson -You can't keep no brown, Kokomo Arnold-Rainy night blues, also Ramblin Thomas,Barbecue Bob, Peg Leg Howell, King Solomon Hill, plus the usual supects, Charlie Patton, Tampa Red etc..Another name I hadn't heard, Bobby Grant from 1927? I am tempted to buy these just to see his take on these greats. Pity, the clip on Stefans website is Leadbelly's slide version of CC Rider, which is pretty straightforward stuff. I don't see this as being competition to your lessons, he teaches the songs, a different approach to yours, so I hope its OK to post this, I just thought you may find it interesting. I have seen some of Tom's tuition DVDs and I have no problem with you posting some clips on this forum. Excuse my ignorance, but what exactly is Spanish tuning? As I understand it Vestapol is open D tunning, I have not come across Spanish yet. Sometimes you're the windshield, sometimes you're the bug!